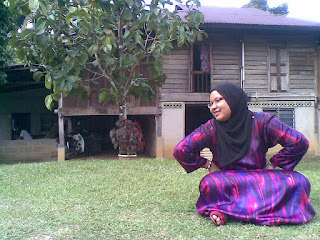 "Day 01 - A recent picture of you and 15 interesting facts about yourself"
hurm. something like this is kinda hard though. i guess any would be good. i don't really have the chance to take a nice pictures nowadays. it's not i don't like taking pictures. well, for me cam whoring is kinda fun! a little info on the picture. one habit of mine during lecture is scribbling and doodling. my textbook is my art book. i am addicted to karaoke. it's the best place to replenish my energy and reducing stress! i prefer meat than chicken. i prefer mcd than kfc and i prefer thriller than horror movie. i hate clown. i despise them ever since i watch the movie 'it' by stephen king when i'm younger.they were once scary.but now, just annoying. my dream house must have a big library. full with collection of novels especially written by julia quinn and sophie kinsella. romantic comedy and historical romance are my favourite. i have never been on a plane. yes. it's sad. and i'm nineteen now. i just hope i don't have to reach until ninety just to board on a plane. i don't know how to swim. i want to try riding and i think bungee jumping is awesome. i am currently learning to play guitar. and been hoping to learn piano in the future. i think hangul (korean) is the most polite language in the world. it's very interesting too. mostly, i dream in my every sleep.night sleep or even during the day nap. and i hate when it was interrupted during the good part. like when the alarm clock rings. or when mum wake me up. errr..
i like high heels. i don't really like flat slippers. i like sandals compared to shoes. the more complicated the sandal is, the better. and i like bright coloured one like red,pink, baby blue, yellow etc. you can check out this link to know extra thing about me! i skipped some important fact too. yayy! the first challenge is done. please anticipate the next one! woahhhh! nak wat library dalam rumah gak. sgt sgt minat membaca owww. Five Must Visit Website! For ELF! i want to have a child like this! Yes & No of Festive Season. standard lagu~ semakin maju? atau kolot? raya wish~ kyu & anis updated version! want to be happy? extraordinary? the rules..
cinta vs keluarga? mana lagi penting? shed a tear~ so funny!